Can your piano be a composer? Not really. I have to admit that the title of today’s post is a trick question. But the fact is, at least two important composers – Muzio Clementi and Ignace Pleyel – were also manufacturers of pianos. They put their names on the instruments they built. In fact, if you look on eBay for “Pleyel” or “Clementi,” you just might find that some of the pianos they made are for sale. So in that sense yes, a composer and a piano can have the same name. Let us now take a moment to meet these two men. Muzio Clementi, probably the more famous of the two composers we’re exploring today, was an Italian-born piano virtuoso and composer of symphonies, works for solo piano, and piano concertos. He moved to London at a young age and he is best remembered for his association with (and possible exploitation of) a younger pianist, the Irish virtuoso and composer John Field. But the most fabled story from Clementi’s life centers on the famous piano-playing contest that took place in 1781 between Clementi and Wolfgang Amadeus Mozart. Who won the contest? We do not know for sure, but the two men competed one on one. Many piano students today learn about Clementi when their teachers assign them Clementi’s Sonatinas to play. 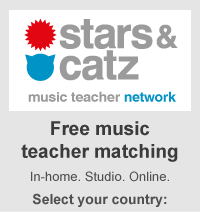 Those works are actually lightweight piano sonatas that are easy enough for students to play. Like other piano students, I once made the incorrect assumption that if that was the kind of music that Clementi composed, he was a fairly lightweight composer too. Nothing could be further from the truth. In my opinion, this composer’s symphonies, piano sonatas and other works are very accomplished. I love his music, and I think you will too. And here is a slightly off-topic story. When I was visiting Westminster Abbey a few years ago, I glanced down at the floor under my feet and realized I was walking right over Clementi’s final resting place. It made me feel kind of bad to see where he had ended up. But then again, Henry Purcell also ended up under the Abbey floor. And least I feel good whenever I listen to music composed by either of these men. Here is a video demonstration of an 1801 square piano that Clementi manufactured . . .
Members of Classical Archives enjoy unlimited listening to many recordings of works by Clementi that are available in our online library. Just search for him in our composer directory. As a starting point, I would like to recommend one of my very favorite recordings of Clementi. 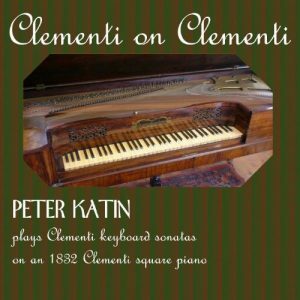 Entitled “Clementi on Clementi,” it is a disk from the Diversion label that presents the top-notch British pianist Peter Katin playing Clementi piano sonatas on a square piano that was built in Clementi’s factory in 1932. CLICK HERE to access this disc. To me, it is a revelation on many levels. 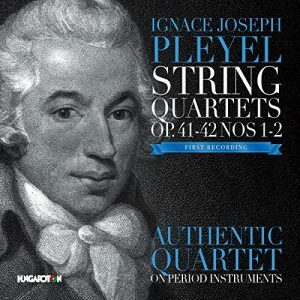 Ignace Pleyel was an Austrian-born composer who was a student of Josef Haydn. Pleyel composed operas, symphonies, string quartets and other chamber works – even a bassoon concerto. After Pleyel moved to Paris in 1795, he established a publishing company that printed works by such major composers as Muzio Clementi, Johann Nepomuk Hummel and even Beethoven. Then in 1807, he began to manufacture pianos. That branch of the business was largely taken over by his son Camille (1788–1855), a pianist who also established a concert hall, the famous Salle Pleyel, where Frédéric Chopin performed on Pleyel pianos. To this day, the names of Pleyel and Chopin are closely associated. In this video, pianist Janina Fialkowska Plays Chopin on a Pleyel piano manufactured in 1948 . . . Many recordings of Pleyel’s compositions are available for listening on Classical Archives. Just search for his name in our directory of composers. I am delighted to report that one of the newest is a release of a recording of Pleyel string quartets recorded by the Authentic String Quartet for the Hungariton label. CLICK HERE to access this disk and listen if you are a member of Classical Archives. Can Your Tuba Be a Composer Too? Yes, it can, provided it is a Wagner tuba (invented by Richard Wagner) or a Sousaphone (invented by John Philip Sousa). While we are pursuing this line of thinking, let’s remember that the Saxophone was invented by a Belgian wind player named Adolphe Sax. But we have now followed the topic of today’s post to its final conclusion . . . and possibly a little further. Wishing you happy explorations of Clementi and Pleyel!